Thanks for coming back for day two of our blog hop! 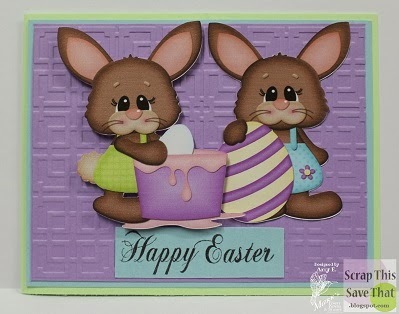 Today I used the sentiment from the Easter stamp set and attached it right under two of the most adorable bunnies I've seen in a while! I got the Print and Cut file from the Silhouette store and cut them with my Cameo. I dry-embossed a piece of lilac cardstock to place them on. I popped up the little girl bunny for extra dimension and so that I could place the two images closer together. Amy, this is such an adorable card. Love those bunnies. Too cute - adorable bunnies and card. How adorable! 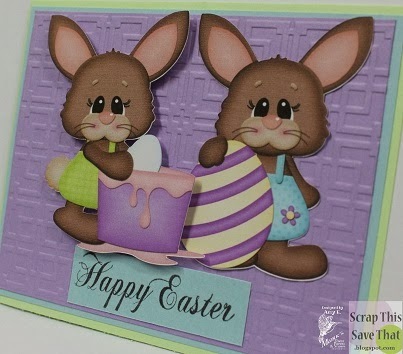 I have not figured out how to use files from the store- I use the MTC with mine..... Love your cut file bunnies- great card! This is so darling! I love those bunnies!